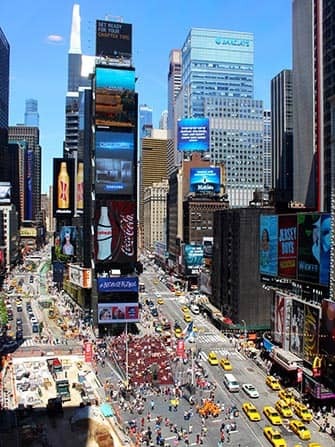 Times Square is sometimes referred to as the centre of the world. Nowhere else on earth do this many different cultures come together on one square every day. Times Square is the intersection of 2 streets, 7th Avenue and Broadway. 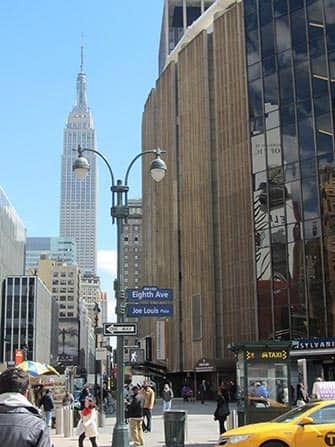 Since 2009, Broadway between 42nd and 47th Street has been closed to give tourists more room. There are many table and chairs on the square that are free to use. Especially when it is dark, Times Square is dominated by the lights of bill boards. A phenomenon that just can’t be missed when visiting New York. The Empire State Building, with its 103 stories and 443 meters, was once the tallest building in New York, now that honour belongs to the One World Trade Center. The building was finished in 1931 and was the tallest building until the Twin Towers took over the honour in 1972. It was the tallest building again after the Twin Towers were destroyed. The Empire State Building has a different colour almost every day. Every colour combination has its own significance. You can visit the Empire State Building every day. One of the finest buildings in Manhattan is the Chrysler Building. The Chrysler Building is a whopping 319 meters high and was the second tallest building in New York for decades. Because the Chrysler building is not accessible to the public, the building can best be seen from the Empire State Building. 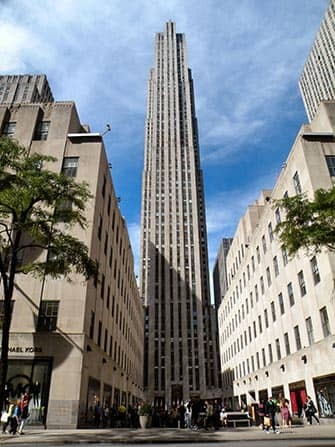 Rockefeller Center is best known for the ice rink with the golden statue. 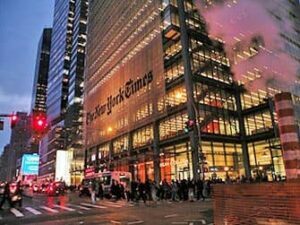 The ‘center’ has 14 buildings, built between 1929 and 1940, in the heart of Manhattan in New York. Since 2008, you can also find Top of the Rock, a lookout over Manhattan, Queens, New Jersey and Brooklyn. 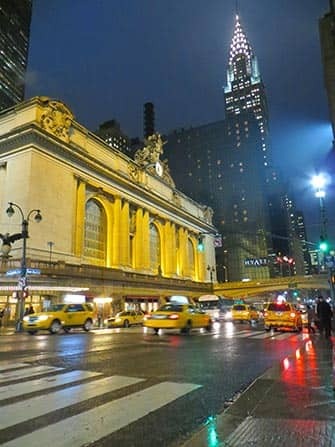 Grand Central Terminal is the main train station of New York City, next to Penn Station. Grand Central Terminal is also popularly called Grand Central Station. In addition to the trains, there are also five subway lines that come together, the lines 4, 5, 6, 7, and the S. Grand Central Terminal is a must see if you are in New York.